I am planning a maths lesson for a small group of year 9 students with whom I work, once a week. The group varies in size between 3 and 8. It is usually quite easy for me to see if I have a response from everyone, but other times I have larger groups and this is a little harder. One thing about working with a small group in a small classroom is that students find it very easy to share answers. I’m happy for this to occur as long as students are sharing how they reached their answer too. Sometimes, I want to check for understanding quickly and know that every student has done their own work. This little idea came to me while I was planning an activity for my lesson this week. Tell students to write their name on the FRONT of each sticky note you give them, answers are then written on the BACK. This way, when students stick their sticky notes on a Poster/ Posted Question/ Card, everyone only sees the names of the students who have answered the question. The teacher is the only one who will see the answers (and whether or not they are correct) at the end of the lesson. 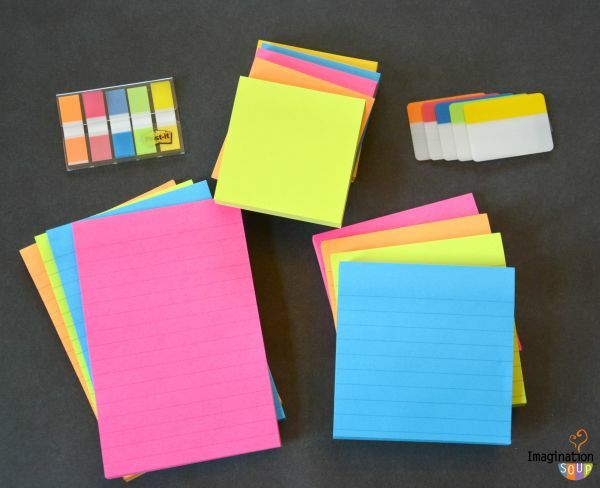 Have students use BOTH SIDES of their sticky note! ntry on it. The students will be required to write each population in Scientific Notation on the back of their sticky notes and stick them to the population card (see image to the right). 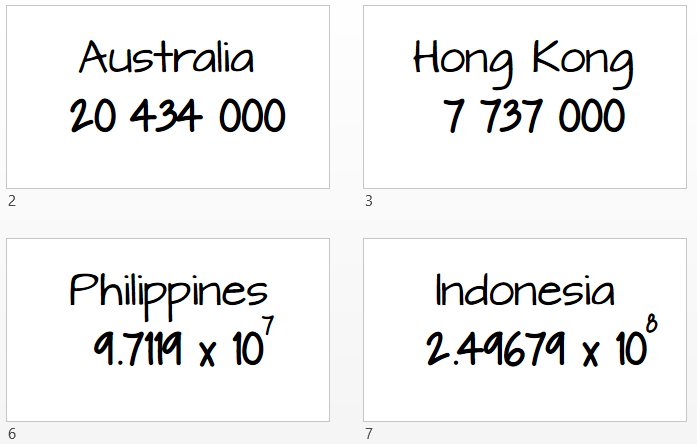 Some already have Scientific Notation so I will ask the students to expand those ones. I will be able to tell quickly when everyone is done (when to move on) and later I can check answers to make sure they are correct. I’m feeling really clever! I swear I didn’t read this idea on someone else’s blog!! Of course, I know I’m not the only one out there with great ideas. 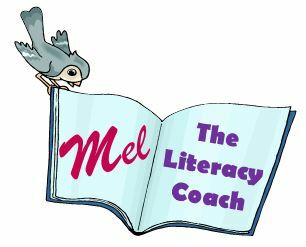 If you have a tried and tested trick for getting responses from everyone in your class, please share with me in the comments! How do you make sure the correct answer isn’t being copied from the most competent student in the room? I’m excited about this one because I know I can use it in Maths, English, Science, History… literally any subject!